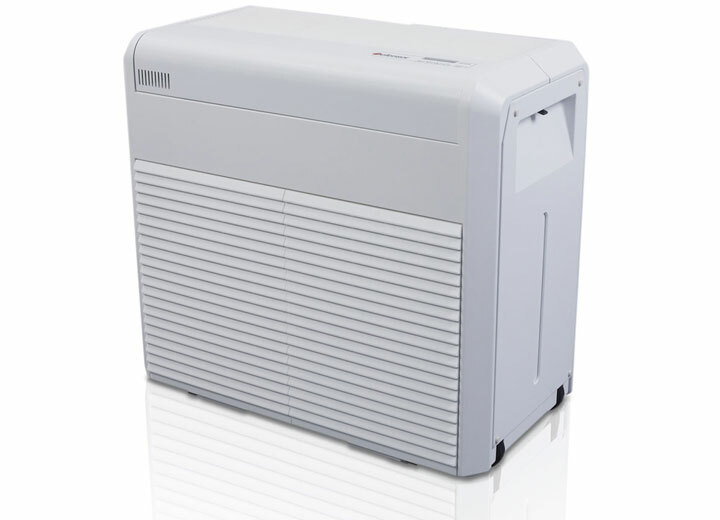 This commercial mobile humidifier is ideal for areas up to 900m³ with an output of up to 2.7L/hr. 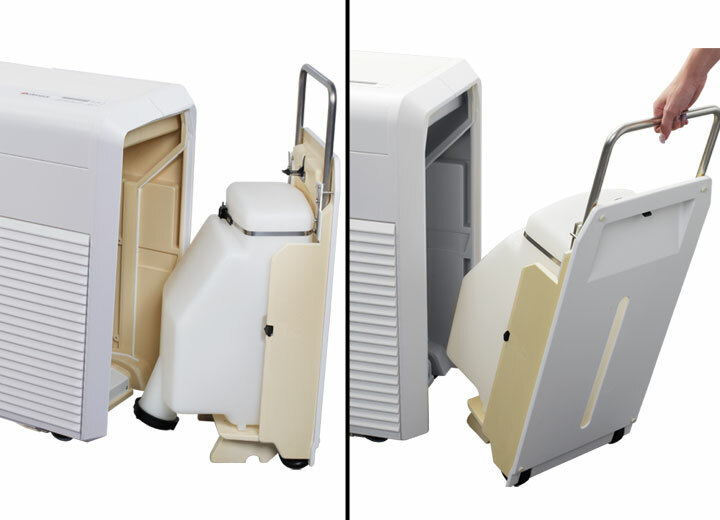 It has a large 30L water tank to provide long intervals between filling. The water tank has castor wheels so can be easily detached and wheeled to the sink for filling. 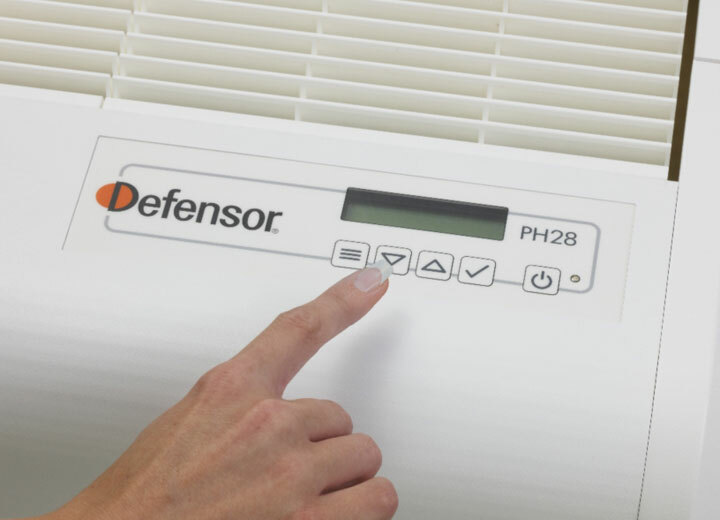 The Defensor PH28 is also available as a plumbed-in auto-fill model. 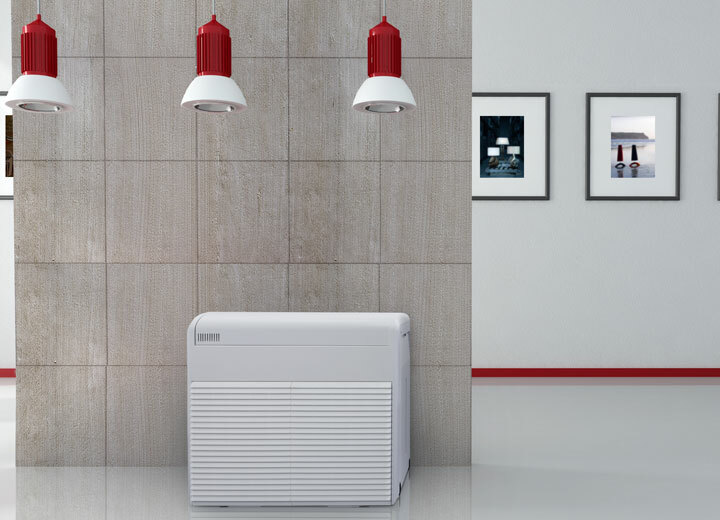 The unit uses evaporative technology to provide low energy operation without the high running costs of electric steam humidifiers. On full power it only consumes 128W of electricity. 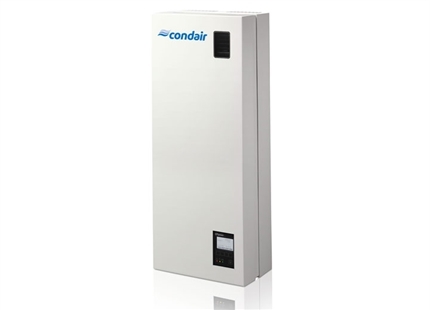 The humidifier also filters the air as it humidifies to remove particulate matter from the atmosphere and further improve its quality. 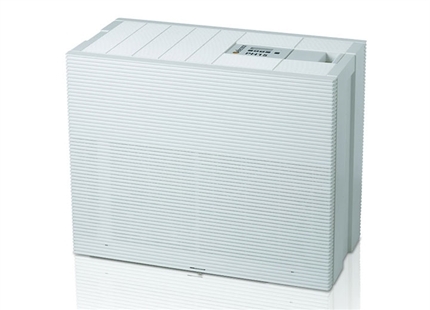 Its quattro filter system can removed particles as fine as 0.1microns. A digital control panel offers a programmable timer and in integrated digital humidistat controls the output to the required level. The control panel features a keypad lock to prevent unauthorised access. An optional external sensor is also available. Silver ionisation electrodes provide water treatment to the reservoir to maintain hygienic operation. Large removable 30L water tank with castors for easy filling.